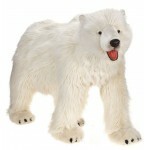 Welcome to the "magical world" of polar bears . . . . like many of you, we enjoy the outdoors and hunting and fishing . . . come play with us . . .